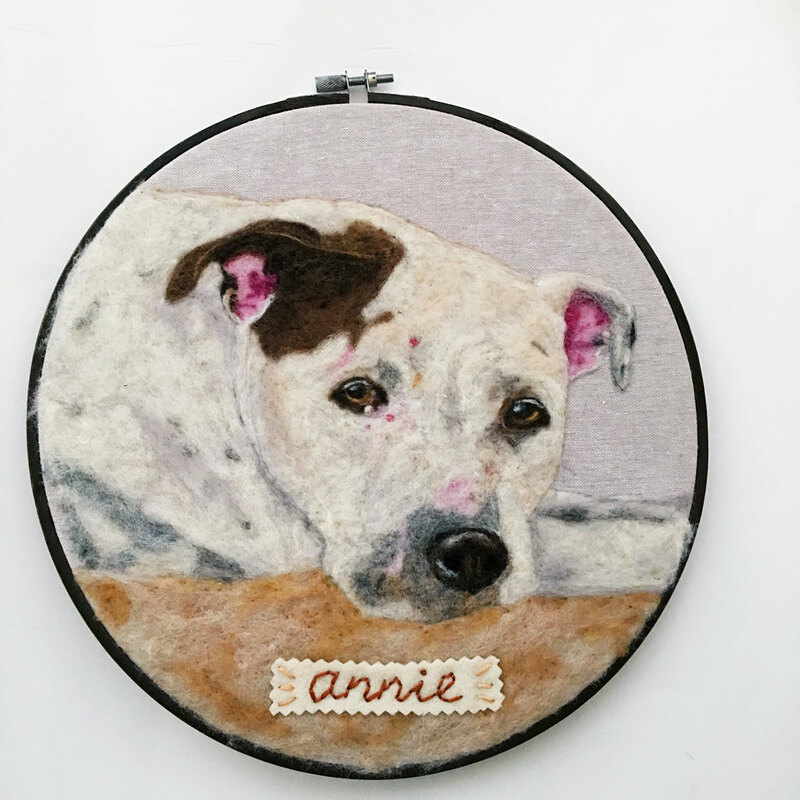 Have you ever wished for a custom portrait of your beloved pup? 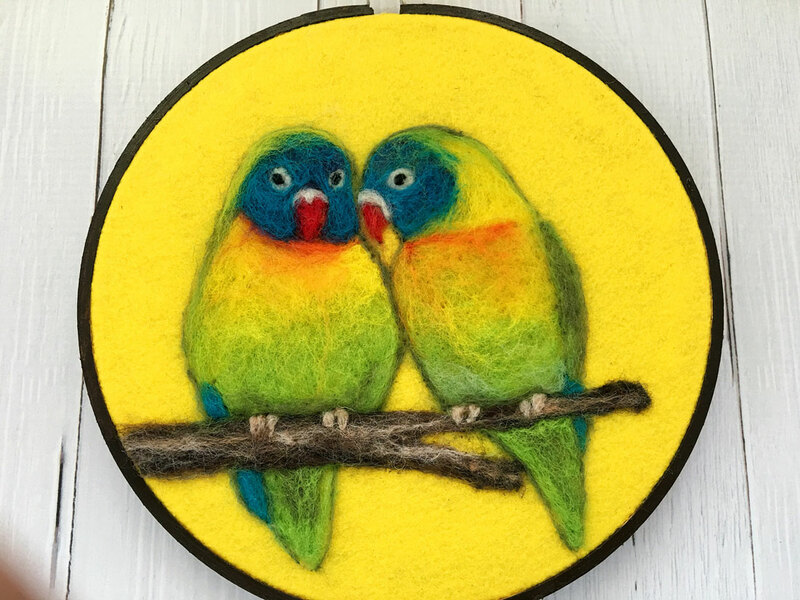 Inna of The Faithful Thread lovingly creates needle felted pet portraits that will help you celebrate your furry friends for years to come. Check out our interview with Inna and find a special Free Shipping code at the end! I’ve been creating since my childhood, but I have officially opened my Etsy shop in the late 2015. I’ve started making pet portraits after my neighbor’s dog, who’s been with her for fifteen years, has passed away. It’s been truly devastating and I wanted to cheer her up and express my compassion, as I have lost pets in the past and know how hard this is, to lose a friend. The look on her face has brought me the purest of joys and I knew this is something I want to do from now on. 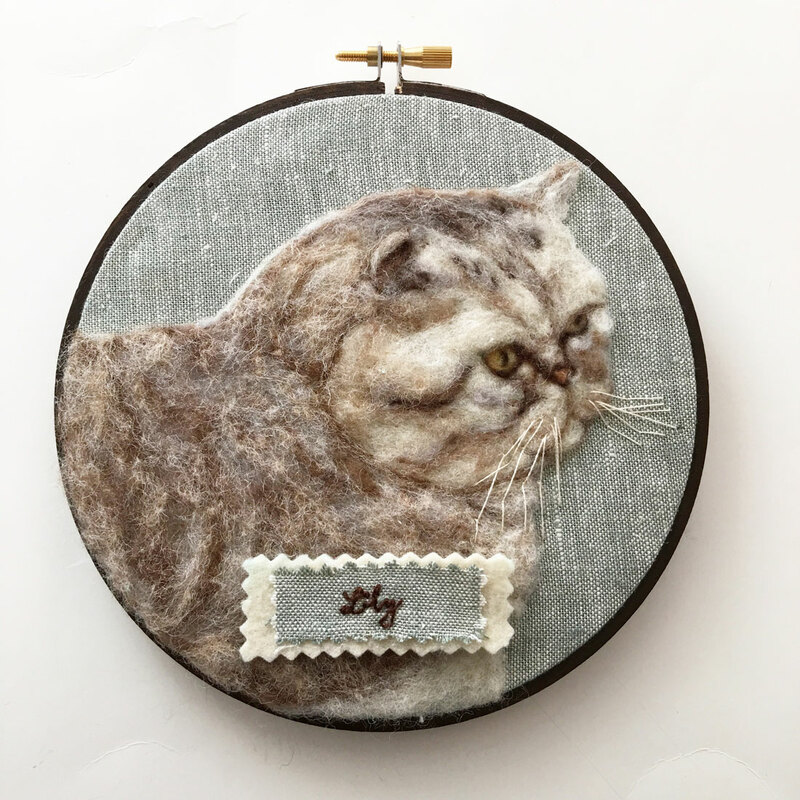 I create unique needle felted pet portraits, adding felt embellishments and embroidery. My goal is to honor your faithful friend and companion and create a tangible memory that will not fade and will last for years to come. A lot of my customers buy a pet portrait for their grieving friends and relatives. There’s nothing to compare the joy of seeing happy tears of people when they unwrap the portrait. I feel so privileged to be a part of this! I love working with custom portraits, because it’s always fun and challenging to create something that would suit this unique person and to capture each pet’s expression and personality. 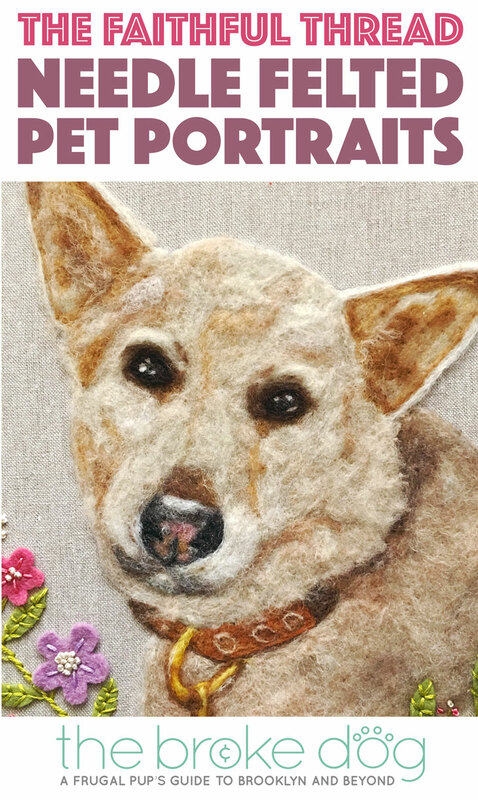 Needle felted pet portraits and hand embroidered bookmarks and jewelry. Most of my portraits are enclosed in a embroidery hoop, but I’m very excited to announce that I will be offering square and rectangle gallery wrapped portraits soon. 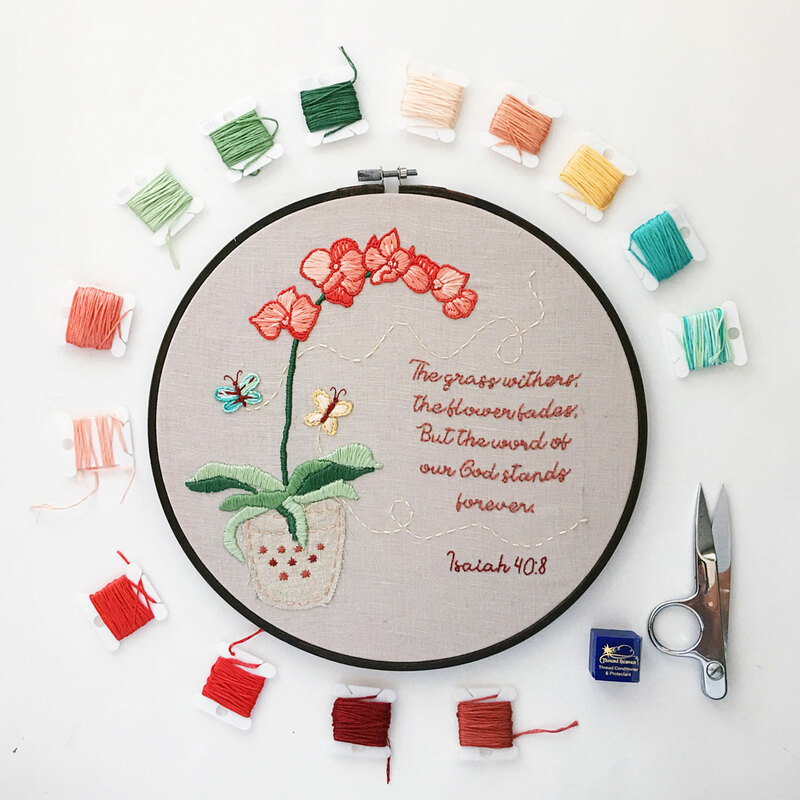 I also offer to embroider a short message in the back of the portrait for free! I’ve always had dogs, but right now we have an adorable cat, named Ivy. She showed up one day, injured and hungry and decided to adopt us. You should see her now, full of spirit and playfulness! I am the sole creator, but my husband and three kids often help with suggestions and feedback, as well as packaging and shipping the orders. I love that this business gave me an opportunity to express my creativity, bring joy to other people and stay home with my kids. I would like to offer free domestic shipping for all the lovely The Broke Dog blog readers. Just use “THEBROKEDOGBLOG” coupon code at the checkout! 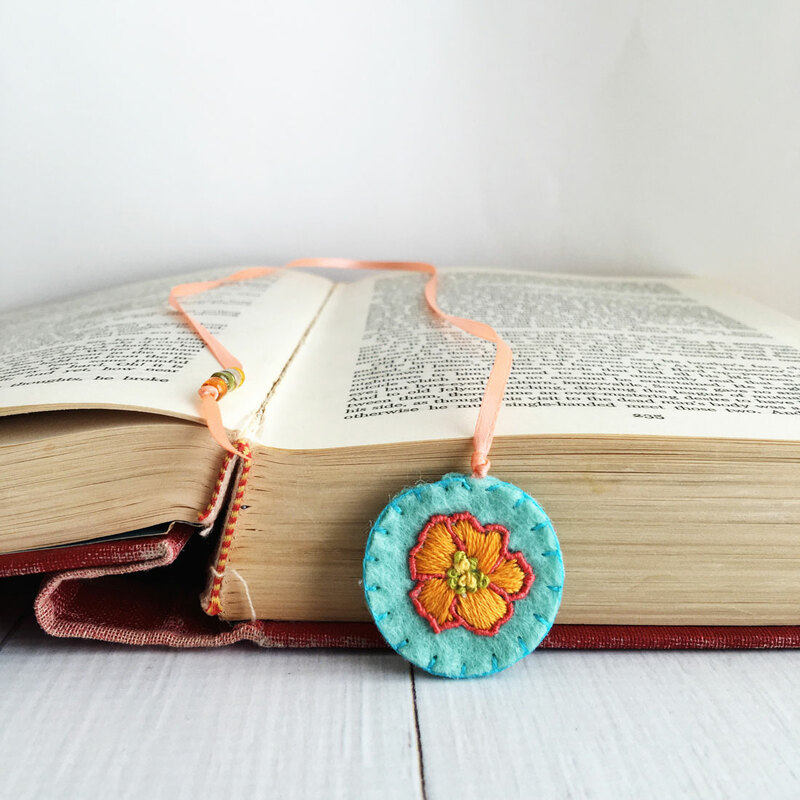 Check out The Faithful Thread on Etsy as well as on Facebook and Instagram! Those are so lovely and I’m sure they mean the world to her customers. Thanks for the information! Oh, wow, these are amazing. Wow, such a talented artist! I absolutely love this and can appreciate the talent, time and effort that goes into producing such works of art. What a great gift idea for a pet lover. Those are awesome! 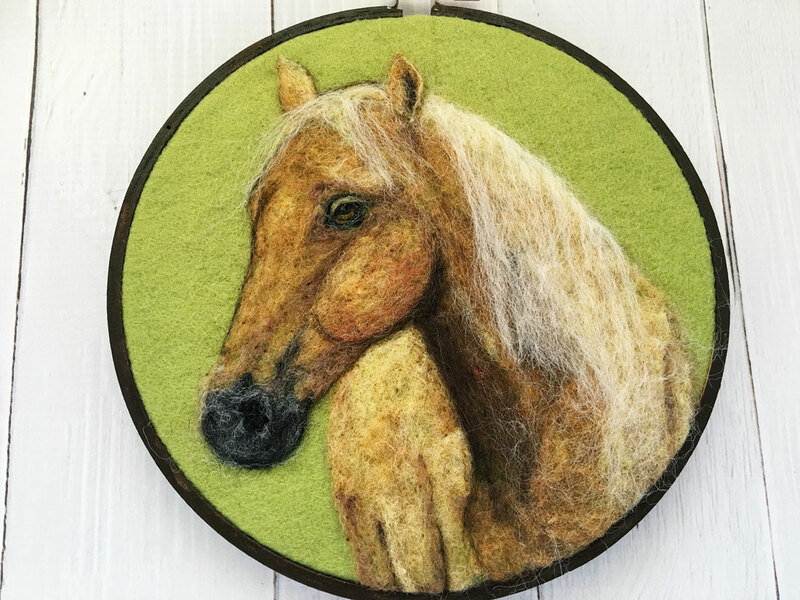 I’ve never seen felted portraits before. 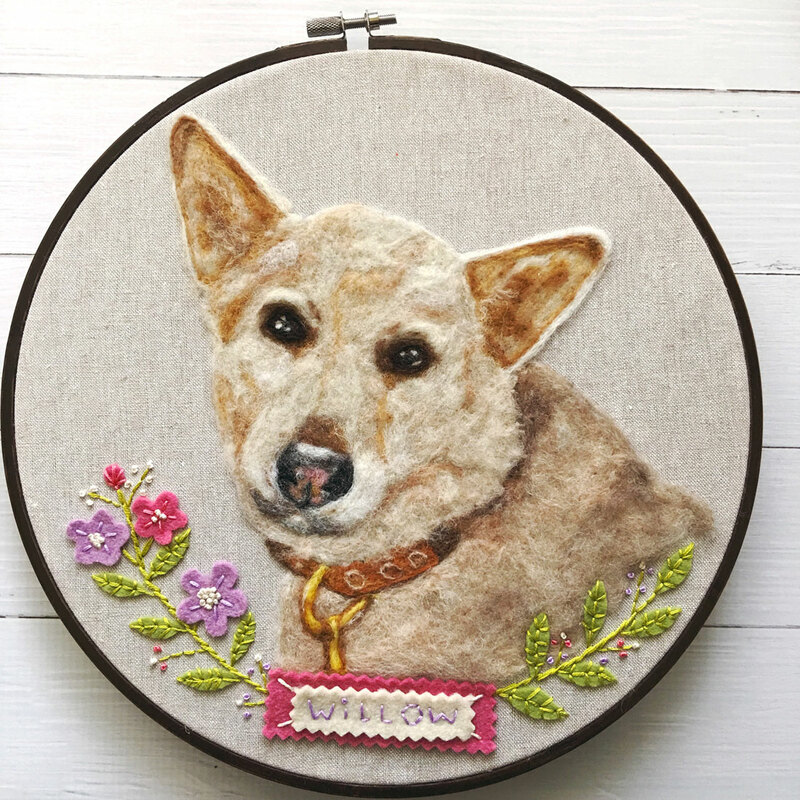 These are so beautiful I cannot stand it, I have never seen such amazing and beautiful needlepoint designs showing animals – and I’ll be ordering one for the three dogs clearly tonight. I’ve liked all her channels now. Thank you for posting this! WOW. These are so beautiful! It is amazing how realistic she can make these look. I love that they look furry too. 🙂 This is a great way to immortalize our best furry friend. Wow! Those are just amazing. I never knew that art form even existed. I love that cat! 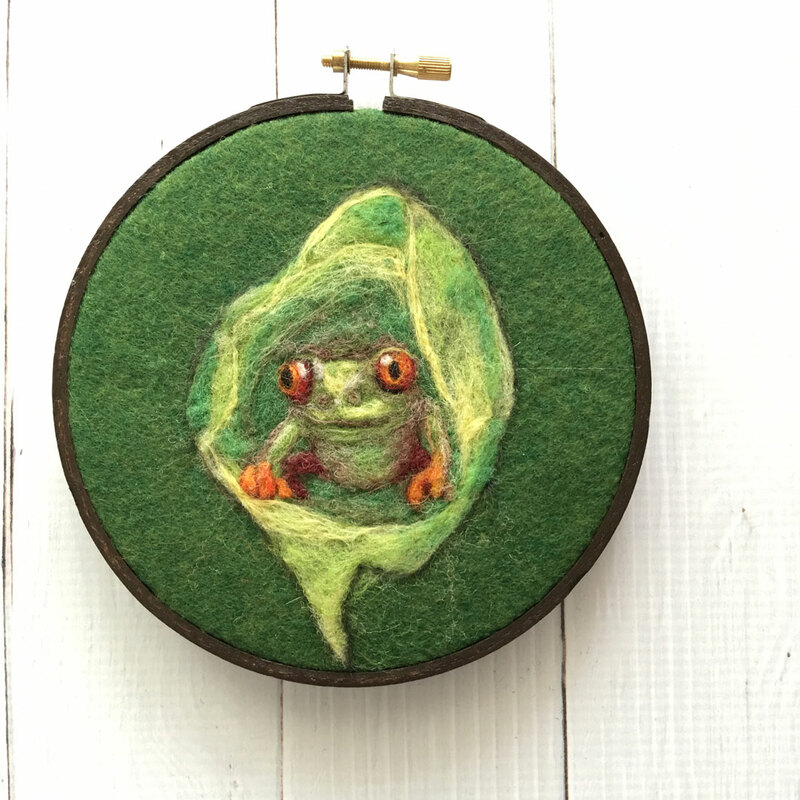 Such beautiful, artful creations – we love these! Wow – this is something I just would NOT be able to do (and I do a LOT of making). This is amazing work!!! These portraits are so lifelike, I’ve never seen any artwork like them before! These are beautiful. I’d love to have some made of my girls one day. I love how the thread looks just like fur. SO beautiful! I am bookmarking this site for gift giving. What a unique and gorgeous idea. She is so talented and I enjoyed this interview very much.